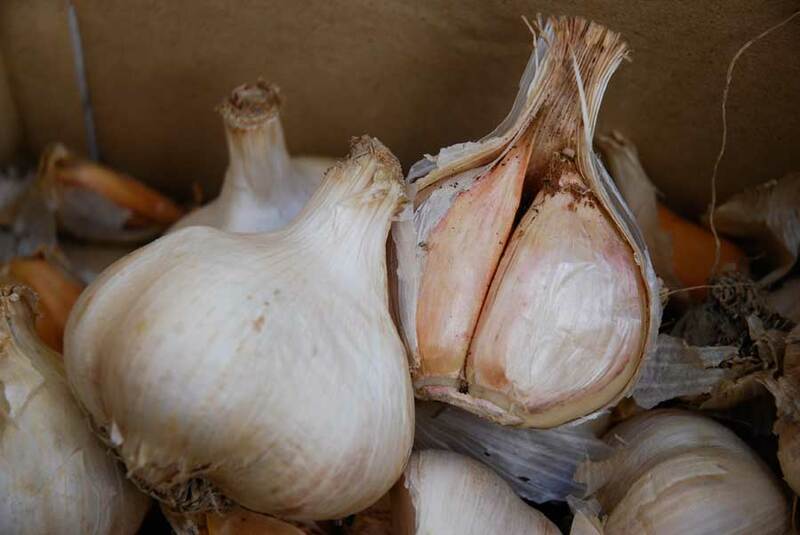 Garlic is naturally rich in sulphur which is toxic to a range of leaf sucking and chewing pests such as aphids, whitefly and looper caterpillars (that feed on cabbages). In addition, the soap element of this recipe has long been a method of killing the likes of aphids by breaking down the protective coating of their exoskeleton and causing them to die through dehydration. 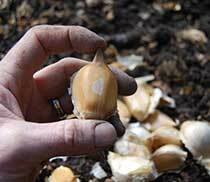 Garlic is also a useful anti-fungal agent thanks to its sulphur content. Mash or chop up your cloves of garlic. Place in a preserving jar or container that is heat resistant. Put on the lid and leave to steep overnight. Strain the infusion the next day through muslin or an old tea towel. Add liquid to 1 litre of water and 2 table spoons of liquid soap. Spray insects on your plants as soon as they appear to keep numbers down. 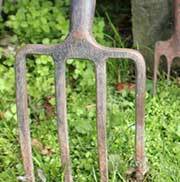 Pay particular attention to stems and the under side of leaves. Use only when pests are visible and re-apply after rain. NB: Garlic can kill beneficial predators as well as pests so don’t go overboard with your spraying. Try to be targeted and give any plants that are suffering an attack from sucking or chewing insects a liquid feed to strengthen them.